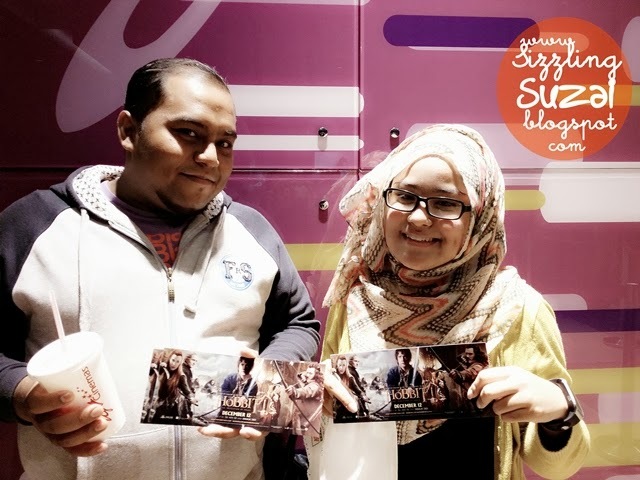 Thanks a lot dear Nuffnang for the premiere screening of this The Hobbit: The Desolation of Smaug in IMAX 3D dated on 10th Dec 2013...Wallaahhh!! 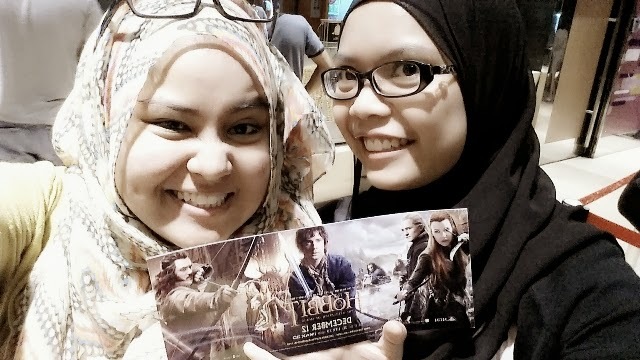 i was actually aiming to win the tix for my dear hostelmate+travel+coffee addict buddy here, Miss Tia since she is a big fan of this epic fantasy one. Alhamdulillah for the rizk. As mentioned i didn't know any character (thanks google and wiki!) and their specialty of each as well as the history before on what happening on the previous chapter. but hey, it didn't effect my mood at all since you can just follow the track. just keep on enjoying their struggling journey in 3 dimensional effect! haha seriously amazing! As usual, 3D will not gonna failed you in which it is constantly exciting, extremely REAL, beyond imaginative and mind blowing experience! personally, i do always believe that when you craving for some 3D movie, please choose the fiction / fantasy one as sure-fire will worth the money. I guess, this movie has grown its own followers in which i do not need to convince hardly. haha...everybody knows Peter Jackson's product and i don't know i just wanna keep on recommending you guys to WATCH THIS IN 3D! Hey, meet my #bloggerbuddy, the famous Mahadir who just came out on the Utusan Melayu hehe from MahaMahu. yup, we've done, how about you? lorh bunyi cam iklan berbayar tak? =P so, i'd likely wanna rank this movie based on my little interest on the epic fantasy kinda movie is 4/5!